The Geneva Auto Show will be the stage for a new sport utility vehicle from Japanese automaker Mazda. UPDATE: Although we talked more about as possible CX-7 in our original article, it now appears clear that we’ll see a new Mazda CX-4 at the Geneva Auto Show. Mazda currently offers the CX-4 on the Chinese market and will likely expand the nameplate to other markets. A New Mazda SUV is set to debut at the Geneva Auto Show at the beginning of March. As is always the case, very little information is available right as to what this new utility vehicle will be. We therefore have to speculate. Before getting into all that, however, let’s look at what we do know. 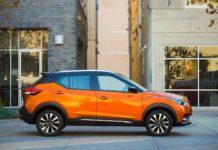 Mazda says its new SUV will feature a KODO design and the latest lineup of SKYACTIV engines including SKYACTIV-X that launched on the new 2019 Mazda3. And that’s about it, folks, in terms of what we know about this new Mazda SUV. Here’s what we think. We’re thinking Mazda is going to fill a small hole in its SUV lineup between the Mazda CX-5 and the Mazda CX-9. We’re thinking the Mazda CX-7 name is coming back. 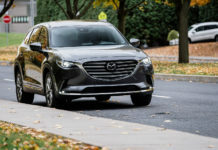 Introduced at the Los Angeles Auto Show back in 2006, the CX-7 was Mazda’s mid-size SUV offering until it was discontinued in 2012 around the same time the CX-5 came out. 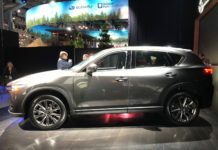 Today, Mazda has three SUVs in its lineup, but there seems to be a gap between the CX-5 and three-row CX-9. That’s the perfect place to put a new Mazda CX-7 five-seat mid-size sport utility vehicle. 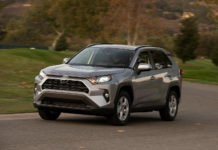 An eventual CX-7 would compete with the brand-new Honda Passport as well as the redesigned Ford Edge and Nissan Murano. If It’s Not The Mazda CX-7, Could It Be The Mazda CX-4? It could also be that Mazda is planning a smaller, sportier SUV to fit between the CX-3 and CX-5. 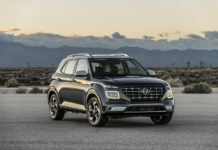 A CX-4 perhaps? 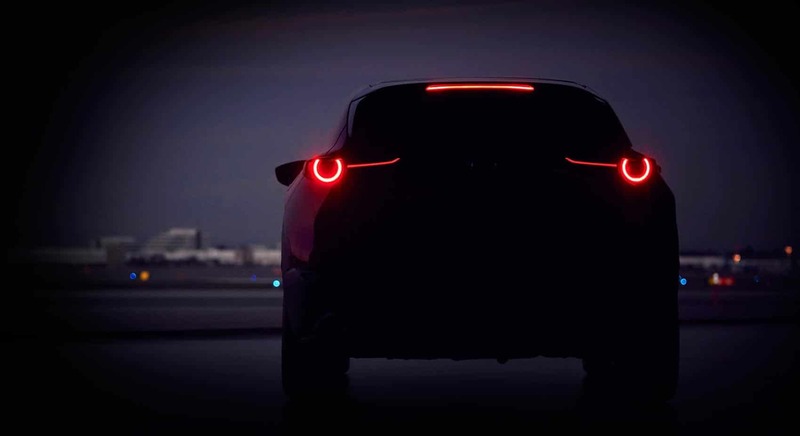 That’s what many other outlets seem to be thinking and given that SKYACTIV-X is coming, it’s a very real possibility. They would base the CX-4 on the redesigned Mazda3 with the same chassis and structure. 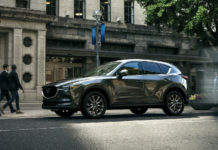 Converting a Mazda3 to a small sport utility vehicle would certainly be easier than, say, modifying a CX-5 or CX-9 platform to work on a possible CX-7. 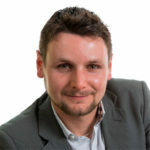 Enough CXs already, we will know more in a month.